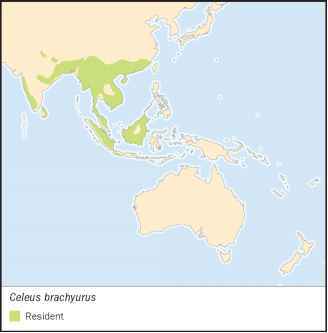 Most species of mimids pose no conservation concerns, and some populations seem to have benefited from human conversions of forest to bushland. However, five species, four of which are island endemics, are the source of serious anxiety. The Socorro mockingbird (Mimodes graysoni), formerly abundant on Socorro Island in the Revillagigedo group west of Mexico is Critically Endangered due to predation by introduced cats and habitat destruction by introduced goats. Rather puzzlingly, the Cozumel thrasher (Toxostoma guttatum) of Cozumel Island off the coast of the Yucatán Peninsula is also Critically Endangered, having suffered catastrophic population declines following hurricanes in 1988 and 1995; curiously none of the other endemic Cozumel species has suffered and all seem as abundant as previously. In the West Indies the two races of white-breasted thrasher, found on St Lucia and Martinique, are both Endangered, possibly critically, with shrinking populations of fewer than 100 pairs each. In these cases the causes seem to be habitat destruction and predation by introduced mongooses. The various species of mockingbirds in the Galápagos Islands seem to be doing quite well, with the exception of the Charles mockingbird (Nesomimus trifas-ciatus), formerly found on Charles (Floreana) Island, now restricted to two tiny islets off Charles. In this case the culprit appears to be the black rat (Rattus rattus), though other species in the archipelago appear to be able to coexist with this introduced species. Because of its limited range, the black catbird (Melanoptila glabrirostris) of the Yucatán Peninsula is classified as Near Threatened; it is, however, quite common in several locations. Recent information is lacking on the San Andres mockingbird (Mimus magnirostris), confined to Isla San Andrés (St. Andrew Island) in the western Caribbean; the island has been the subject of much recent development as a resort.